Photography is an ever-changing art, evolving from the first daguerreotype of the 1840s to the mirrorless revolution of the 2000s. But nothing has had more of a drastic impact on how we are able to take our pictures than drone photography. Chinese powerhouse DJI started when RC helicopter enthusiast Frank Wong crashed his model and decided to make flight easier. Registering the company 11 years ago, it took four years to release its first product, a simple flight controller. From this humble start, it has almost single-handedly brought aerial photography to the masses. DJI now has an impressive roster of pro models, with drones such as the pro-level Matrice series capable of hauling weighty DSLR rigs. The compact, enthusiast-level Mavic Pro sits just below the slightly more expensive Phantom range, yet is just as capable as its larger stablemate, and packs in some astonishing aero-tech features. Boasting a 1/2.3in CMOS sensor, the 3-axis gimbal-stabilised camera on this drone is capable of 12.4MP stills and 4K Ultra HD video, and can be set to either auto or manual, letting you program your own settings. Its quad propellers can belt out a breakneck maximum speed of up to 40mph in Sport mode and an ascent/descent speed of 5m/sec and 3m/sec respectively. The Mavic Pro is capable of travelling up to 8 miles from its operator and offers up to 27 minutes of flight time or 24 minutes of hovering, with an accuracy of +/- 0.1m vertically and +/-0.3m horizontally. Including both forward and downward vision systems, alongside GPS and GLONASS, the Mavic has very advanced collision detection and navigation capabilities. It’s capable of detecting objects up to 30m away and has a precise measurement range from 0.7-15m, featuring modes that will allow it full autonomy to take evasive action. The Active Track modes will make the Mavic Pro lock-on to your chosen subject and follow it in a variety of different ways. It’s even possible to use gestures to trigger the camera – perfect if you want those hard-to-get environmental selfies. The remote is about as big as a computer game controller and can be used alone or with your smartphone (which you’ll need to see through the camera). This controller offers a whopping 4.3-mile working distance, supplying a 1080p Full HD (720p at further distances) feed back to your screen. The DJI Go 4 app offers some extremely intuitive features for anybody looking to quickly create professional-looking footage. Cinematic mode slows the reactions of your Mavic, giving you silky-smooth panning shots. Its Tap Fly function will even let you select a point – just tap the smartphone screen and it will duly fly to the chosen point. 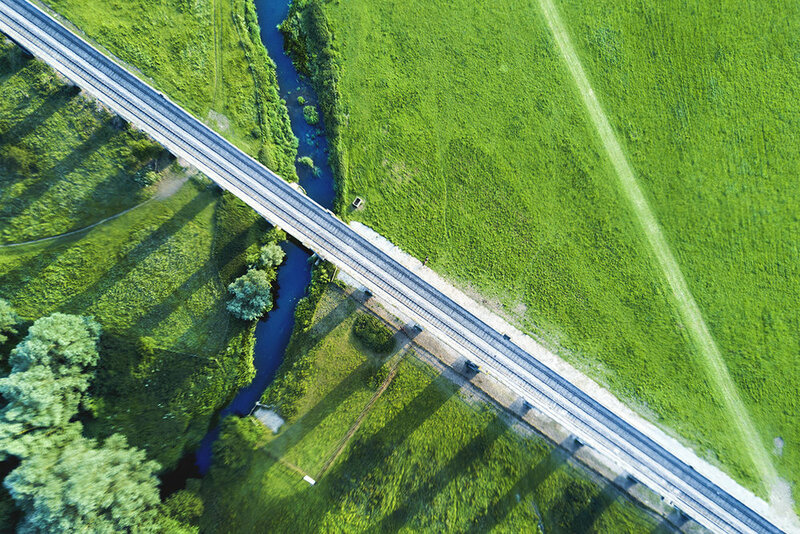 Cameras are often lauded for their tough alloy construction, but drones have to focus on being lightweight and robust – anything too heavy will reduce flight time and hamper handling. That said, the Mavic Pro is impressively sturdy, even more so considering its 743g weight. The arms, which fold back into the body for easier transportation, feel robust and should easily withstand at least 5000 operations. The rotors attach with ease and don’t require any fiddly locking into place before flight. The diminutive size of the Mavic Pro is astounding, given the features, and the high quality of the materials used is very evident. The battery fits into the top of the body and creates an almost airtight seal, while four lights let you know how much battery you have left at a glance. Even the gimbal (something we have seen competitors handle poorly) is a distinctly premium bit of kit, with a sturdy construction and smooth, responsive movement. The controller is also very intuitive, with a solid build quality and very rugged flight sticks. The bottom unfolds into two chunky arms to hold your smartphone in place and everything still fits nicely in hand. The lack of unnecessary features also leaves you free to focus on the act of flying, and everything is intuitively placed. Overall, the build quality is exceptional, and the size means it’s a truly portable option, fitting easily into a backpack. From the moment you activate the take-off mode, it’s immediately apparent how responsive the Mavic is. The phenomenal 5m/sec ascent speed (in Sport mode) is evident, with a full push on the stick sending the drone rocketing into the sky. The rest of the motions are equally precise and quick, and among the most responsive we’ve ever seen. Using the controller will allow you to take advantage of the Sport mode, with its insane top speed of 40mph and astonishing handling. The Mavic corners like it’s on rails and feels perfectly smooth as it does so (some of the competition should really take note here). Even the hovering is amazingly solid. We flew it on a day with 20mph gusts and, although there was a slight sway, the video feed was practically motionless, with the gimbal counteracting any movement perfectly. Thanks to the sturdy flight sticks, which spring back to centre if you let go, you really get the sense of control, and making a course change in the middle of flight is simple and intuitive. Controlling the camera’s pitch (up and down movement) can be done via a wheel on the top of the controller. It’s extremely responsive and very smooth, allowing you to get professional-looking vertical panning in your video and precise angles for your photos. The Mavic’s connectivity is also worthy of praise. Using the DJI Go 4 smartphone app you have a Full HD 1080p (720p at longer distances) preview of the action from the 1/2.3in camera. From setting your drone down to taking off takes 30 seconds and is completely effortless. This is in line with the DJI mantra of making flight accessible and it really takes the intimidation out of drone usage. The app also allows you to use the various smart modes, including Active Track, Gesture and Tap-Fly. Active Track is as it suggests – you simply select it from the app menu, draw a box around your subject, using the phone screen, and the Mavic will follow that subject as it moves. With Tap-Fly you tap on the screen to tell the Mavic where you want it and it will use the GPS and vision systems to find its way there. This works perfectly and the Vision System prevents any collisions. 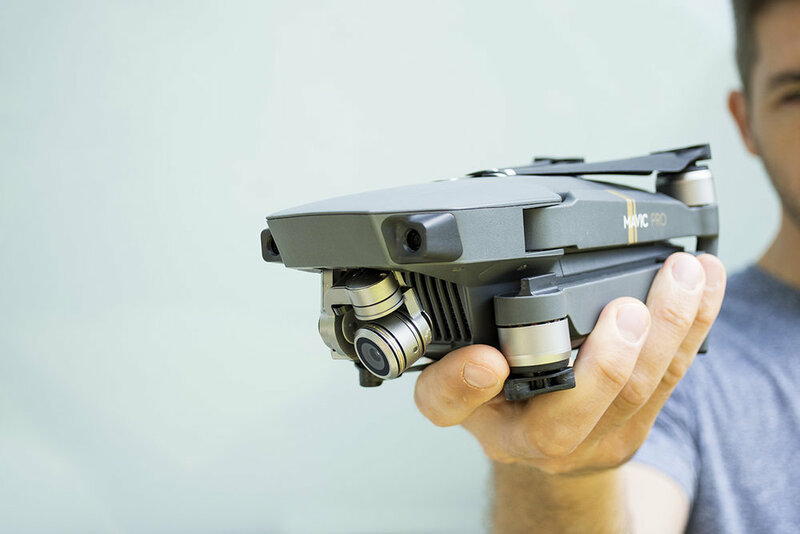 The other stand-out feature is the Mavic’s ability to operate via gestures. Simply select Gesture from the menu with the camera facing toward you, hold your hands to your face and the self-timer camera will take a shot. The 4K video looks very impressive, especially considering the size of the sensor. It’s great quality and, with the 3-axis gimbal stabilisation, very smooth. The range of highlights and shadows recorded are stunning, so long as you aren’t shooting straight into the sun (which is a challenge for most cameras). Images are equally pleasing – the colours are vibrant and true-to-life and the dynamic range is simply astounding. For anybody who thinks that drones are just for video, the Mavic Pro will be a real eye-opener. Another great inclusion is the ability to shoot in RAW (DNG), allowing for a greater amount of control in editing. Stills and video both perform very well, albeit nothing like the results you’d get from a DSLR. Noise is noticeable on photos at ISO 800 and videos at ISO 1600 (the maximum for videos), and by 3200 there’s a lot of noise evident. However, apart from that issue, the files are sharp and stack up well against traditional cameras using the same sized sensor. DJI has come into a young market and completely owned it. You can clearly see the progress and technology that its R&D staff have made and included in every aspect of the Mavic Pro. And in its price range it has no equal, in either performance or quality. The drone market isn’t a cheap one though, and it’s a tough purchase to justify, especially with the restrictive laws around usage. However, the ability to capture unique footage which would otherwise be near-impossible is an undeniable game-changer. 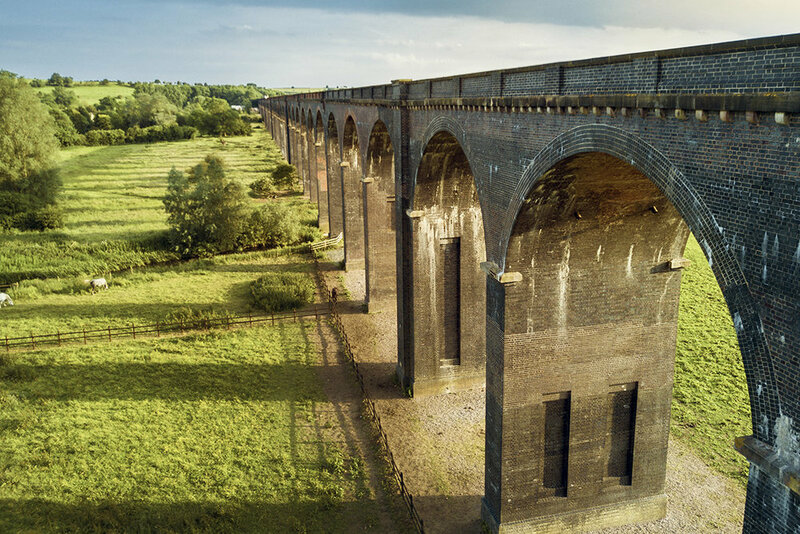 If you find yourself in stunning locations with lots of open space, or want a capable drone for personal use without spending a fortune, DJI’s brilliant Mavic Pro is the model for you.